Thaler Media pulled off historic live coverage of the 2018 WAC with remote IP production and streaming. While the Western Amateur Championship has taken place annually since 1899, this year marks the first time this storied golf tournament has been covered live. Many golf greats, including Tiger Woods, Jack Nicklaus, Phil Mickelson, Justin Leonard, Ben Crenshaw, and Curtis Strange, won the coveted Western Amateur title early in their careers. 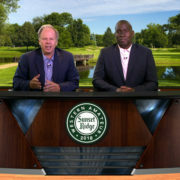 It all changed with the 2018 Western Amateur Championship—held July 30 through August 4, 2018 at the Sunset Ridge Country Club, in Northfield, Il, near Chicago—when Lowell Thaler, president of Thaler Media in North Palm Beach, FL made broadcast history by producing live HD coverage of the event’s “Sweet 16,” quarter-finals, semi-finals and championship matches on Friday, August 3 and Saturday, August 4. 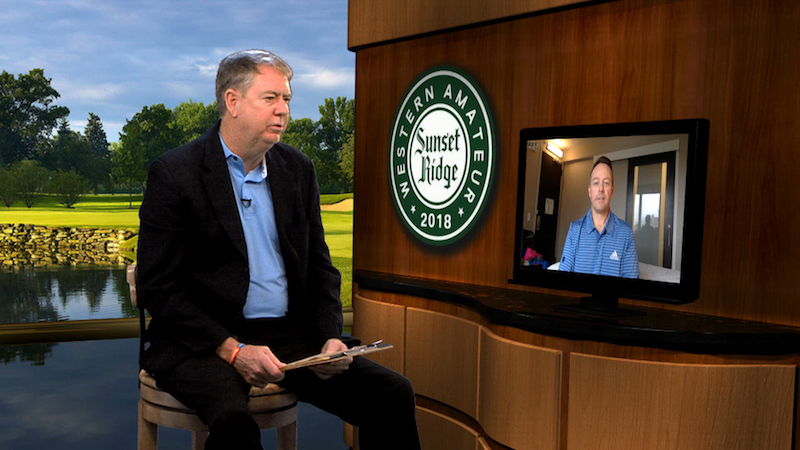 Working closely with his client, the Western Golf Association (WGA), Thaler streamed 12 hours of live coverage to Golf Channel’s digital platforms, including golfchannel.com and their mobile app. 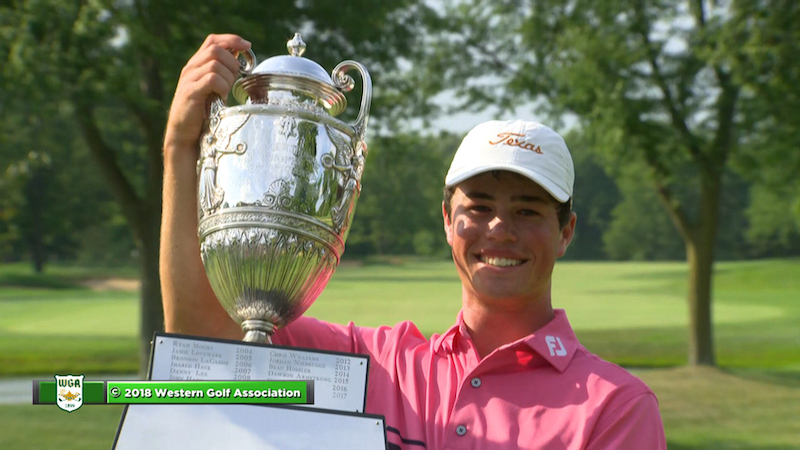 The feed was also carried on the WGA’s Facebook page and website, thewesternamateur.com. 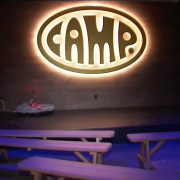 “We were able to produce this event very affordably—at perhaps a tenth the cost—compared to the overhead typically associated with a live broadcast-quality HDTV show by leaning heavily on NewTek gear, NDI networking, and LiveU’s transmission system,” Thaler said. “We managed to shave costs without compromising high-end production standards, such as expert shot composition, picture and sound quality,” Thaler added. 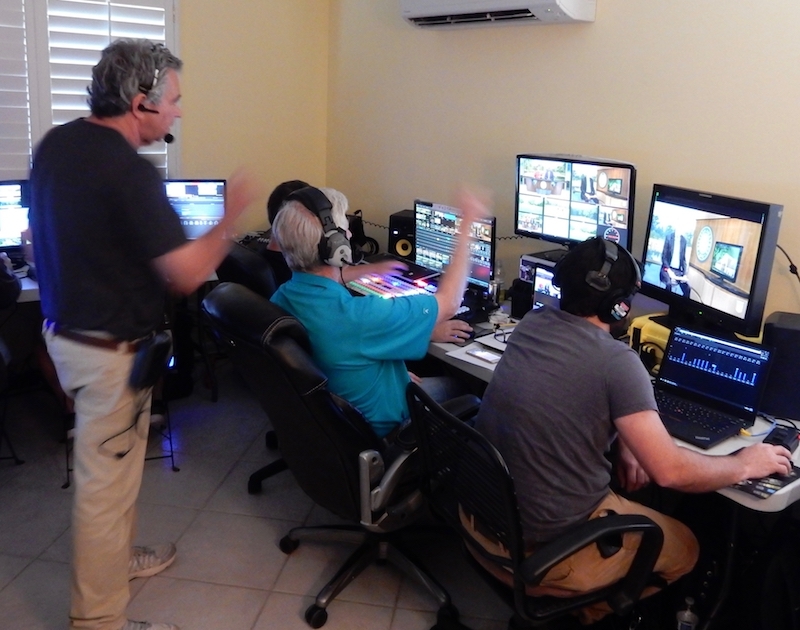 What’s more, Thaler produced the entire show from a studio a time-zone away, in his home town of North Palm Beach, FL, using what can best be described as a remote IP streaming production approach. The only production personnel that Thaler sent to the Chicago area golf course were Producer Laurie White, Editor Eric Wagnon, four camera operators and a sound mixer. Three of the cameramen moved freely around the golf course, following the players from hole to hole to get the perfect shot. Since there was no production control facility or mobile video unit on-site to switch and output the program feed, each of the camera operators wore a backpack containing a LiveU LU600 HEVC and LU500 IP-based transmission system. These modems with HEVC HD video relayed their respective camera video and audio signals via an IP pathway to a LiveU LU2000 multi-output server situated at a master control facility 1,300 miles away in South Florida. Much of the golf action was covered by multiple cameras, and occasionally, cameramen could be seen in the live shot trying to capture it from a different angle, which gave the production a fresh, dynamic look. This was state-of-the-art photography; not the shaky-cams or web-cams all too common on streaming platforms. All of the camera work was done in remarkably steady handheld mode, with excellent shot composition, using high-end Sony F55 cinema-grade cameras. 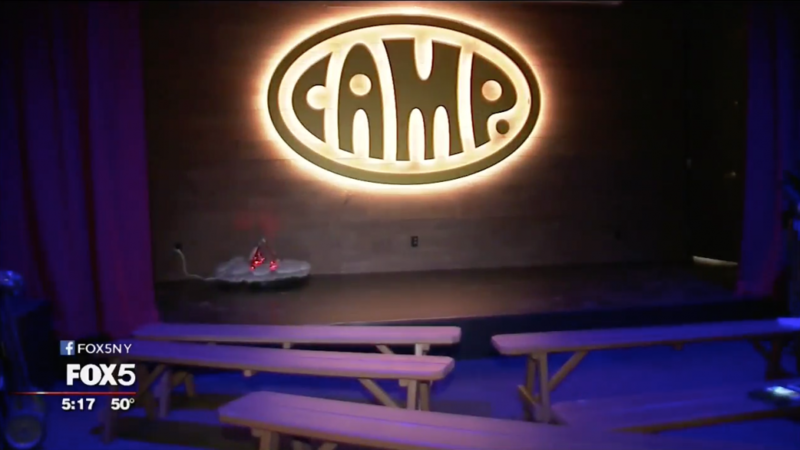 A small remote talk show set was set-up inside the Sunset Ridge clubhouse. The program’s co-anchors—David Marr III and Scott Walker—sat at the desk to deliver color commentary and game analysis. 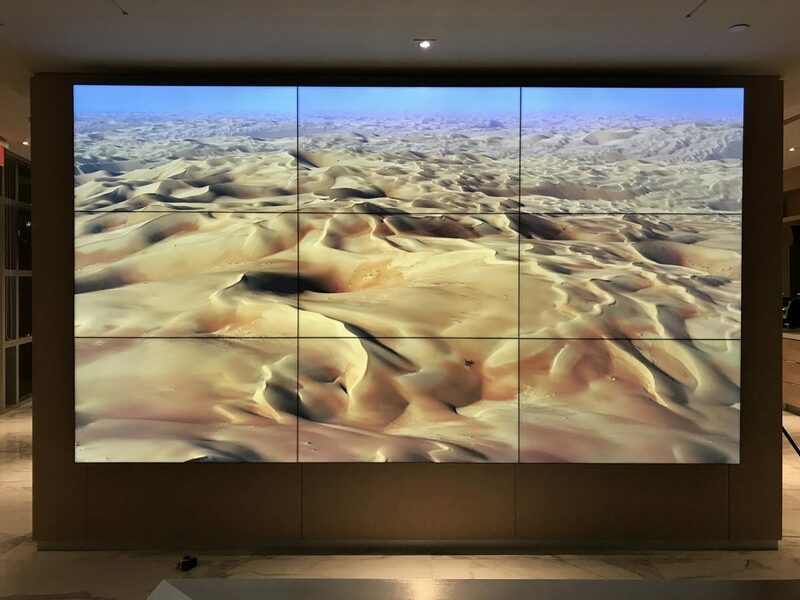 A virtual set filled the greenscreens behind them and in front of their desk, making it appear as if they were enmeshed within a virtual studio that was far larger than the actual physical space. This was one of the virtual sets that Thaler had chosen from the NewTek virtual set collection that came with the TC1. The master control facility, which consisted of a two-room suite, can be described as a completely non-traditional, ad hoc broadcast setting. This South Florida site was crewed by nine people, including the producer, director, TD, audio mixer, live graphics and replay teams. One of the master control rooms served as a main studio where a third anchor, Craig Dolch, sat in front of a green screen to provide additional commentary. A different but complementary NewTek virtual set was keyed into that background to distinguish it from the first. After Dolch concluded his commentary, he would toss it back to the anchor team at the Chicago clubhouse. The other room at Master Control housed a NewTek TriCaster® TC1 IP production switcher. 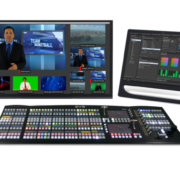 As a frame-accurate 4K UHD/60p-capable switcher with an all IP architecture, the TC1 is a 16 input, 4-M/E switcher with multi-bus mix/effects, animated titles and transitions, chromakey, built-in video servers, clip players, graphics channels, a virtual set system, and more. 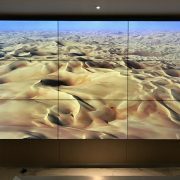 The TC1’s virtual set generation and editing capabilities were maximized on this production. 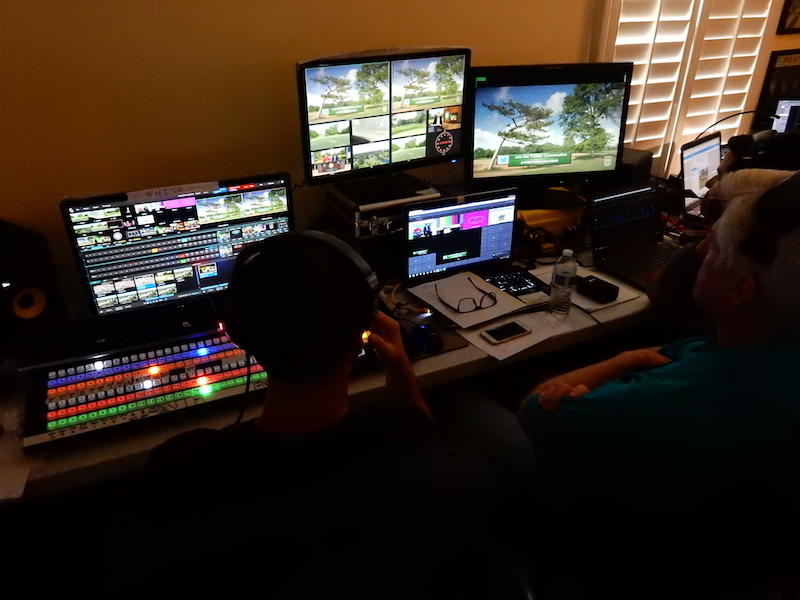 The production control workflow also included a NewTek 3Play® 3P1 replay system, which allowed a replay operator and replay producer to provide SLOMO replays, and playback of aerial footage captured by the camera on a drone flying over the golf course throughout the broadcasts. A NewTek Live Text CG system running on a laptop provided lower third supers and other on-screen graphics. 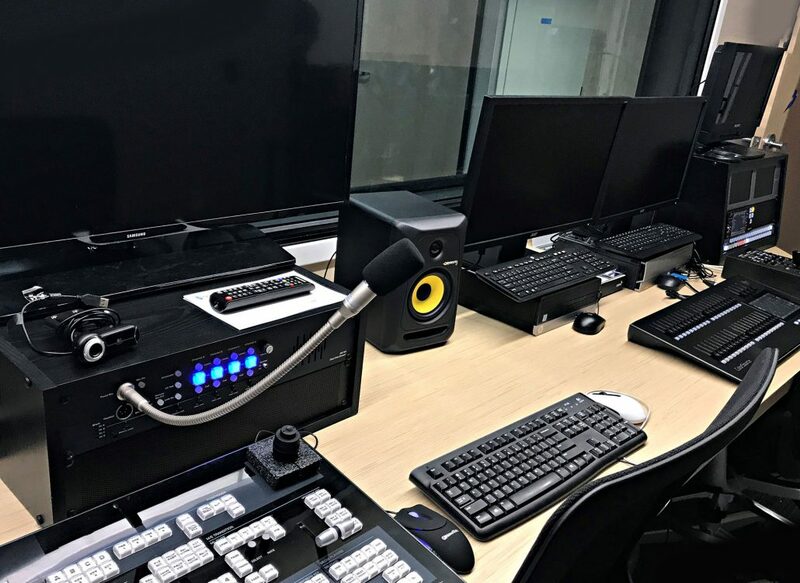 And a NewTek Live Panel audio mixing control panel was used to combine all of the audio sources—including camera audio and natural/ambient sound—into the final program audio mix. 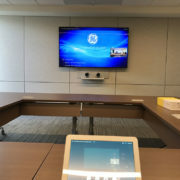 This included the use of the four Skype channels on the NewTek Talk Show to send our TC1’s program output as a ‘return’ feed to provide essential reference monitoring to the Chicago team. This mix-minus audio feed was then split to each of the anchor’s headsets, essentially serving as an IFB. TalkShow also enabled Skype interviews with guests to be fed back to the TC1 in master control. The end-to-end LiveU transmission system was critical technology tying the two remote groups together because this was the method for relaying the camera “iso’s” and audio back to special LiveU LU2000 server in the control room. 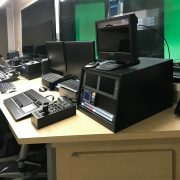 This Linux server relayed the camera signals via NDI® for video over IP networking to the TC1 switcher where the TriCaster operator could mix these live camera inputs with all the other production elements, including features, such as historical vignettes and player profile clips. 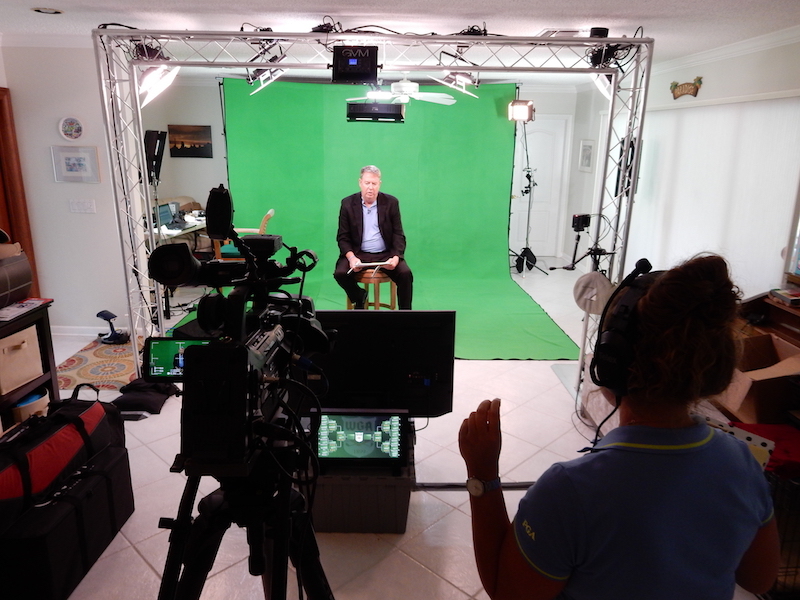 Lowell Thaler gives a special shout-out to Midtown Video, his Miami-based equipment supplier, systems integrator, and a dependable source of production services and expertise. 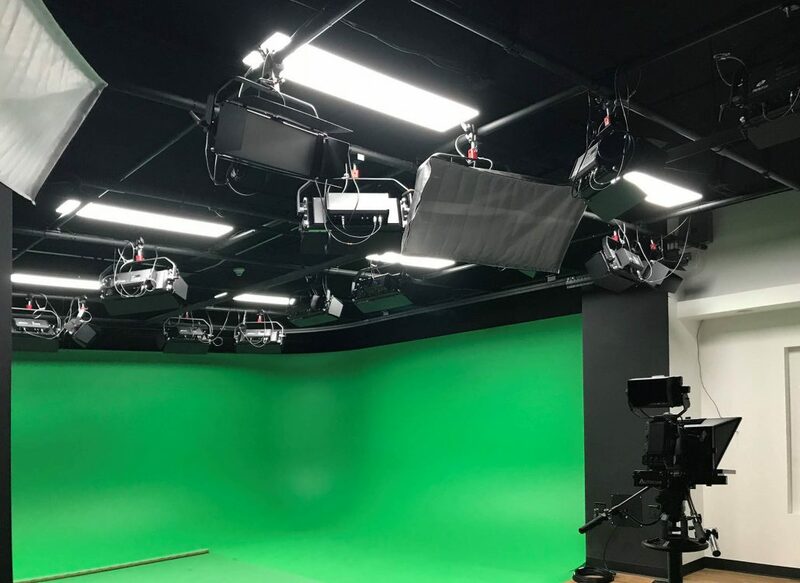 In addition to providing video and audio production equipment as turnkey solutions, Midtown Video also contributed several NewTek/LiveU-savvy technicians to Thaler’s crew to ensure that the live productions ran smoothly. 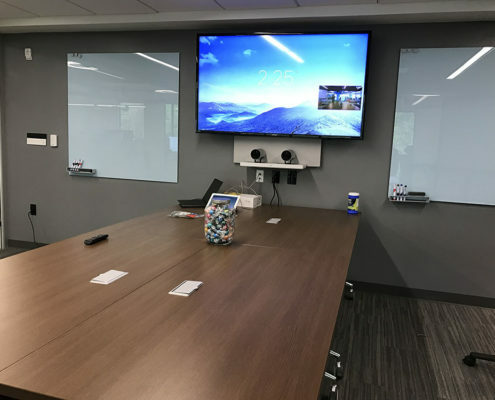 Midtown Video also provided technical support needed to turn one of the LU600 HEVC units into a “data bridge” so that the Chicago crew would have a solid Wi-Fi hot spot on the golf course. 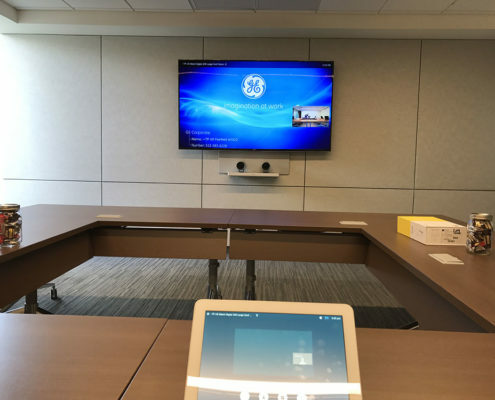 This enabled them to have dedicated bandwidth to ensure they could reliably send a Skype program return feed to the Chicago team—a critical transmission connection—and not rely on the venue’s existing Internet bandwidth. “While it’s true that NewTek and LiveU products are game-changers that are making high-end broadcast production accessible at a much lower price point, it’s still important to have the support of a supplier like Midtown Video that really understands how to implement unique workflows that achieve the production’s creative and technical goals,” said Debby Miller, co-president of Midtown Video. For Lowell Thaler, the success of this remote IP streaming production is a proof of concept for a vision he’s had for a long time. He plans to apply this proven methodology to a wide range of future events that would otherwise never be feasible or cost-effective to produce or broadcast live. The University of Miami Baseball team is using a new pitching analysis system that could catapult the team to Omaha for the College World Series, a goal of their beloved coach Jim Morris, set to retire after 25 winning years. 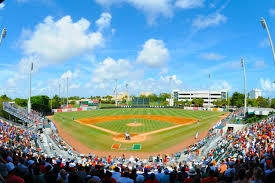 University of Miami Baseball home games are played on campus at the 5,000 seat Alex Rodriquez Park at Mark Light Field in Coral Gables, Florida. 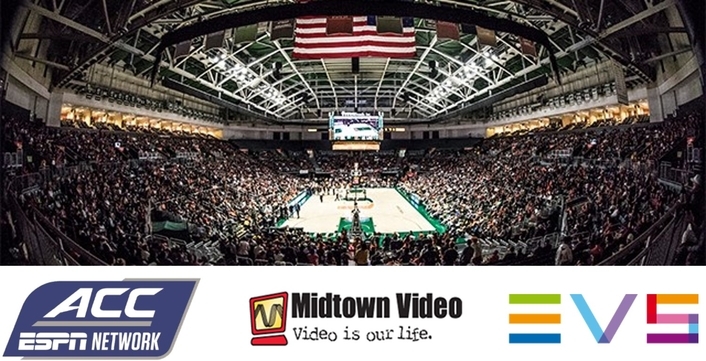 To enhance the system with high-image quality cameras worthy of in-game coverage, UM called on Midtown Video’s CTO Jesse Miller. He specified four HD Panasonic Pan/Tilt/Zoom cameras with 30x optical zoom lens. Every movement of every pitch is recorded from at least two angles, offering a comprehensive and detailed view of the pitcher’s technique. Video images can then be studied for coaching and player review sessions. 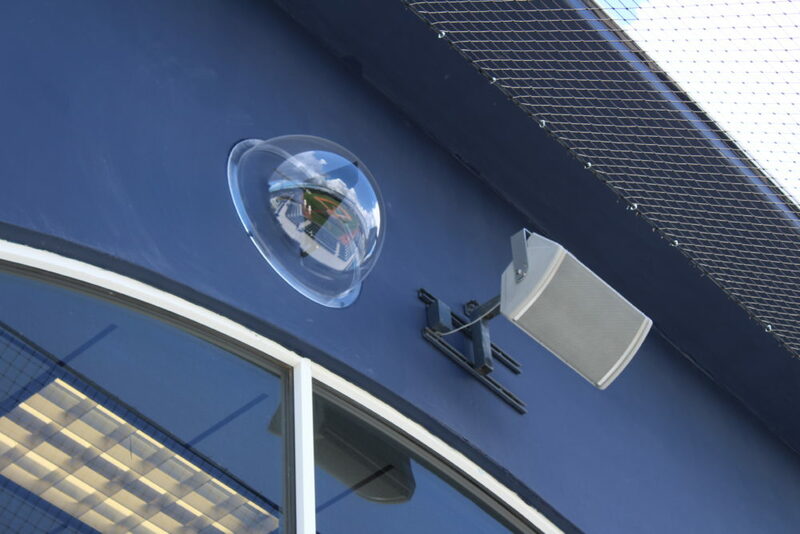 The cameras are contained in tinted ‘CoolDome’ active cooling enclosures for outdoor protection. They are controlled remotely from the press box with a sub-compact joystick controller and quad-split monitor system. While the dugout and home plate cameras are close enough for copper, fiber optic systems from AJA and SerialComm extend signal and control to the outfield camera. 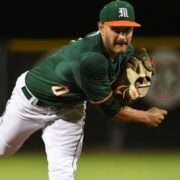 Since 1973, UM has been of one college baseball’s elite with 25 College World Series appearances, four National Championships, and 29 NCAA Regional titles. UM Athletic director Blake James calls Morris “a legend”. In his final year as coach, Morris hopes to get one more national trophy. 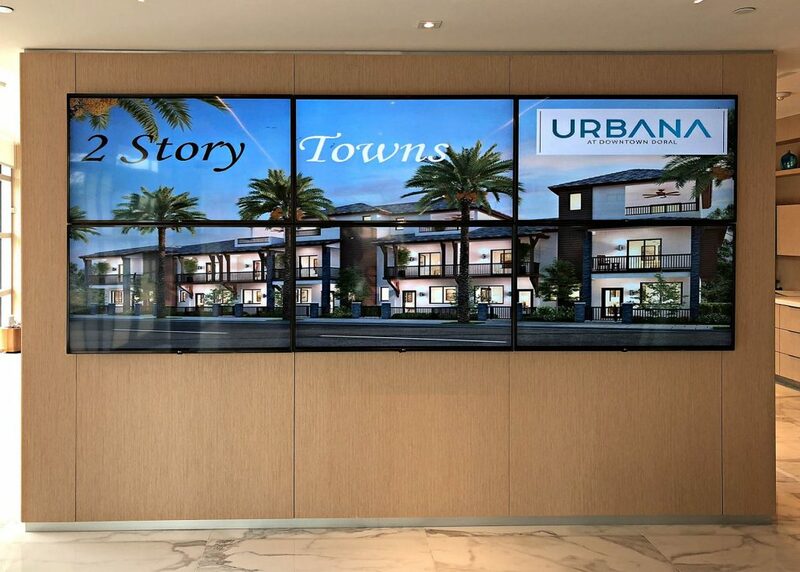 Midtown Video is a leading video and audio systems integrator located around the corner from the U and a South Florida technology innovator for more than 30 years. 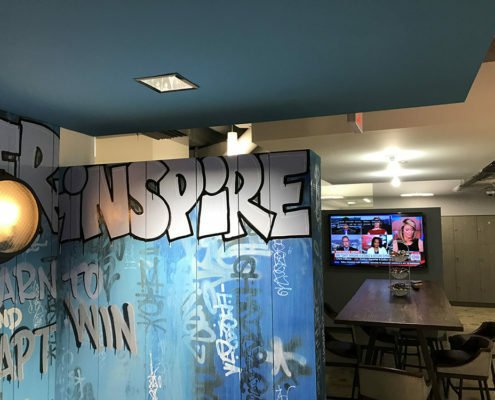 One of the founding partners is a proud ‘Canes fan and UM graduate. 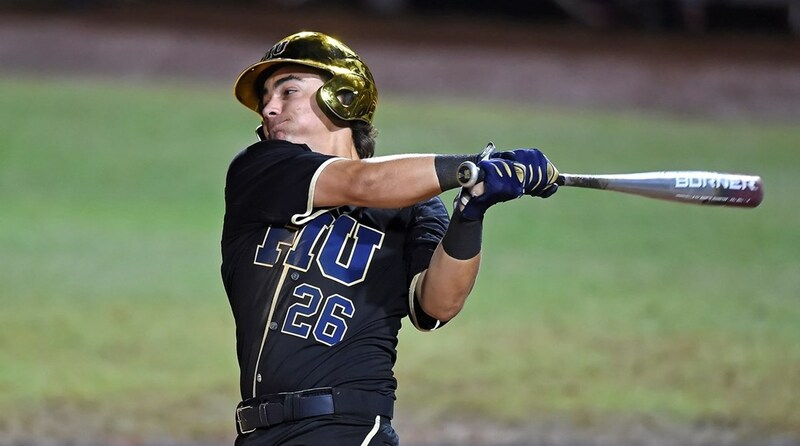 Of all the sports teams that Florida International University fields, its Panthers baseball team is arguably the most successful, having reached post-season play one out of every three years, on average. 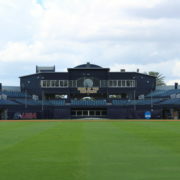 The team practices and plays all of its home games in a state-of-the-art stadium that accommodates 2000 Panthers fans. 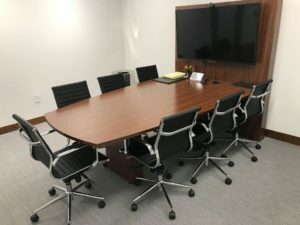 Until recently, however, the stadium’s sound reinforcement system lagged behind its other features, a situation that was remedied by local AV integration firm Midtown Video. Based on the buzz about Danley Sound Labs’ innovative loudspeaker technologies for sports complexes and the recommendation of a trusted local rep, Midtown Video installed its first Danley system at the FIU baseball stadium. Everyone involved is abundantly pleased with the results. 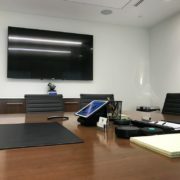 Miller designed and De Cardenas managed the installation of a professional audio system consisting of six weather-resistant loudspeakers powered by an eight-channel DNA 10k8 PRO amplifier, delivering 1250W per channel. One SM-80 sits atop the center press box, two levels above the field, firing down on the seats behind home plate and the field itself. Two OS-80 loudspeakers, each far from the SM-80 and also mounted on the roof, cover the seating on the first- and third-base sides. Finally, three GO2-8CX loudspeakers fire down into the VIP crowd section and adjoining corners. 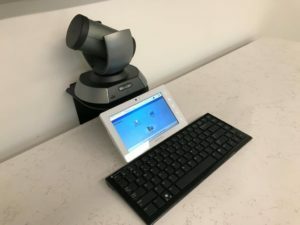 Inputs to the system include announcement mics, wireless field mics, and a novel custom line-level transmission system that allows coaches to play music from their phones from anywhere on the field, in the stands, or in the dugouts. BSS Soundweb processing brings the inputs together and provides the means for a simple interface that allows non-technical users to intuitively change individual input volumes.